1) Go to the ETS website and "purchase" (for $0) the free GRE PowerPrep Online tests. This cloud-based software contains the only 2 real CATs (computer adaptive tests) that are freely made available to the public. 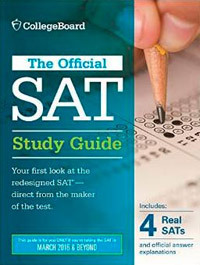 After familiarizing yourself with the program using the Test Preview tool, take the first of the two practice tests (if you're looking for a diagnostic score, then make sure to select the timed test--the untimed test will not give you a score and is exactly the same as Timed Practice Test #1, with easy second sections). However, if you're anxious about taking a practice test at this point, then feel free to go ahead and take the untimed version--but it won't be scored. You can also check out my detailed guide to navigating the GRE Powerprep II Software, the popular books of GRE PowerPrep Explanations and GRE vocabulary mnemonics that I've co-authored on Amazon, and my GRE AMA on Reddit--but don't check the explanations to the questions until you've tried the questions first. Your score on Timed Practice Test #1 is your baseline score. If your initial score is low, don’t worry—you haven’t started preparing yet. If for some reason you’re not yet comfortable taking the first practice test, then switch steps #2 and #1. Save the other PowerPrep test and take it as your final practice test shortly before your test date. Quick tip: If you choose to write the essay, then please be warned that the GRE Prep software has a bad reputation for swallowing up test-takers' essays--the software is a bit clunky, and for some reason, after you write them they have a tendency to disappear. So I strongly recommend that you write your essays on an outside word processor where your work can be saved as a backup, or at least make sure to cut-and-paste the text of your essay into a text document when you are done. Yes, you can still feel free to print out and use these PDFs, even if you are planning to take the computer test, like 98% of GRE test-takers. 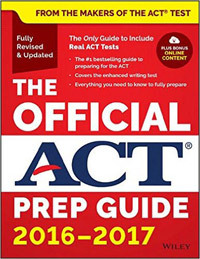 However, I recommend that you don't try any of the questions from the PDFs before taking the PowerPrep CATs, or else some of the PowerPrep questions will be familiar, thus making the test's score prediction unreliable. 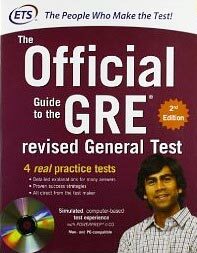 2) Purchase one, preferably two (the second copy should be left blank) of the Official Guide to the GRE, or (even better!) the Official GRE Super Power Pack. 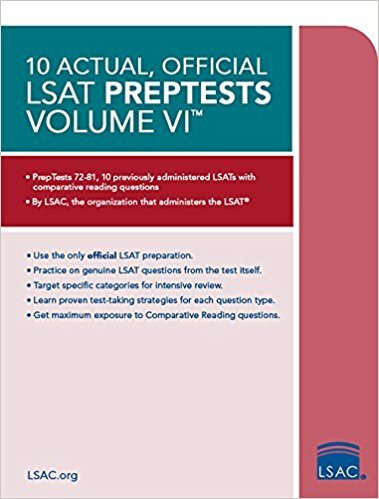 These books contain invaluable practice problems, information, and two additional paper tests (in addition to a CD-ROM containing the exact same PowerPrep software mentioned in step 1. Start working through these books from front to back. If you get stuck on something, just mark the page and move on. The idea is to get yourself familiarized with the test as much as you can before you start taking a class or working with a tutor. 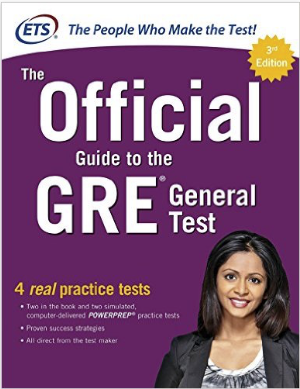 I would also strongly recommend the Manhattan Prep 5-lb book of GRE Practice Questions, which does not include real GRE questions but is an excellent resource for practicing specific types of GRE skills. 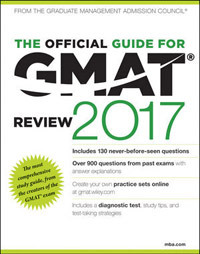 As far as all-in-one GRE strategy guides, I can recommend my own e-book, Master the GRE, as well as GRE Prep by Magoosh, Barron's GRE and McGraw-Hill GRE. I can of course also recommend the guide to the GRE PowerPrep Online Software that I co-wrote, Vince and Brian's GRE PowerPrep Explanations. 3) Set a score goal. GRE student improvements are usually around 10 points per section (20 points total), given time for sufficient preparation. 4) Take advantage of free and/or paid online GRE resources from companies such as Lynda.com, GRE Quantum Grad Prep, Greenlight Test Prep, and Magoosh. Of course, as when doing any research online, always consider the source. All of these companies also offer paid options for video learning and practice: Lynda.com is $20/month after the trial period. Quantum (math only) is $89 for 1 month, $169 for 3 months. Greenlight Test Prep is $58 for 3 weeks and $88 for 6 months. Magoosh is about $150, $100 when there is a promotion. GRE Vocab Capacity (full disclosure: as is the case with Vince and Brian's GRE Powerprep Explanations, I am one of the book’s co-authors): An extensive vocabulary is a must for the GRE Verbal Section. Cliff's Notes Math Review for Standardized Tests - Excellent Math Review, especially for those who haven't taken a math class in a while. 5) Explore the free online resources from ETS, which are quite extensive. They even include a list of all possible issue essay topics and argument essay topics that could show up on the test, for example. Below is a selection of some of the most useful links. 6) Since there are only 4 official ETS CATs, You might want to find another source of CATs, since (imo) you need to take around 8 tests before you are fully prepared. My preferred company for this purpose is Manhattan GRE: I recommend Manhattan’s 6 online GRE CATs, which are a bit harder than the real thing, and slightly different from the real GRE, but worthy imitations nonetheless. The first test is free, so I encourage you to "try before you buy." As far as textbooks, you can either buy the entire series of books, which is helpful but pricey, or you can simply buy the books individually, based upon your needs. 7) If you need lots of remedial help, or if you haven’t taken a college class in a long time, then it might make sense to take a GRE classroom course, such as the ones at UCSD, where I am currently an instructor. But don’t overpay for an “elite” course — most of these courses are the same, and focus on content as well as basic strategies. Save your money for a qualified private tutor instead. 8) If you can afford it, then find a GRE tutor like me, and schedule some lessons. If you are willing to be tutored via Skype or another online tool, then you may choose from among any tutor nationwide. Before purchasing time with your tutor, we suggest that you first schedule a phone consultation to discuss strategies and scheduling. 9) Study, Study, Study. Practice, Repeat, Forget, Practice, Repeat, Forget, Practice, Repeat…Remember. 10) When you’re ready, decide on a test date and register for the test. 11) Take periodic practice CATs in the lead-up to the actual GRE. I recommend that you take at least 8 CATs total. So if you are preparing for 24 weeks, for example, then you should take a full practice test every 3 weeks. 12) You’re ready. Good luck! Get detailed directions to the test center and get there ahead of time. Be prepared and remember that you will get your verbal and quant scores (although not your essay score) immediately after the test, unless you decide to cancel your scores. I do NOT recommend canceling your score under any circumstances—if you cancel your score you will have no way to know how you did, and you may have done better than you thought. Remember that most students do better the second time they take the GRE. Besides, thanks to the new ScoreSelect option, you may now take the GRE as many times as you want (up to five times a year), without your lower scores being seen by anyone but you. In a nutshell, ScoreSelect allows you to choose which scores you want to send to graduate programs, and which scores you want to hide from view, which takes away some of the pressure on test day, and gives you the option of taking the GRE multiple times to achieve your optimum score. The best way to prep for the GRE is simple on its face, yet complex in its execution. On the face, it’s simple: work through the Official Guide and the Math/Verbal Guides from front to back. Take all 6 Manhattan CATs. Study lots of vocabulary. Practice whenever you get a chance, and vary between timed and untimed exercises. The issue here is that *understanding* the correct answer is not the same as being able to execute the question from scratch and find the correct answer. The same applies to vocab. Just because you’re looking at the definition of a word, and you know its meaning in the moment, doesn’t mean that you’ll be able to access its definition under real test conditions. As the saying goes, “everything is obvious once you know the answer.” Of course you think you know the meaning to a word in the moment that you’re reading the definition. It’s only when the answer is taken away, and we are given time to reset our short-term memory, that we can truly determine our level of understanding. - 2:1 ratio: You should spend at least two hours on homework for every one hour you spend with your tutor. Ideally, the ratio is closer to 3:1. That means, for example, that if you buy a 25-hour package with one of our tutors, that you will be spending at least 75 hours on self-study, which of course adds up to 100 hours of preparation. We have found that GRE scores will continue to improve past 100 hours of prep, but you will likely see diminishing returns after that point. Good luck! The GRE is a tricky test but it can be conquered with perseverance and the right guidance.